The Brownsword Group recently contributed to the sponsorship of a team at Hastings Direct in their endeavours to raise money for Macmillan Cancer Support. The Hastings team are taking part in the Macmillan South Coast Mighty Hike on Saturday 11th July in order to raise money for those affected by cancer. Almost everyone knows someone who has either beaten the disease or lost their life to it. The work of the charity speaks for itself. 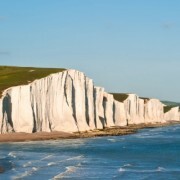 This challenging hiking marathon journeys 26 miles along the south coast from Brighton to Eastbourne, passing over Beachy Head, the highest chalk sea cliff in Britain. The team will be setting off from Brighton Racecourse very early in the morning, and the hike then wends its way across the South Downs National Trail before heading south to the cliff tops and across to Eastbourne. It should take around 10-12 hours to complete. Good luck to Team Hastings!